Do you have a story about SPORTS? Share it on our stage!! Raconteurs stories must be true, have happened to you personally, and be 7-10 minutes in length. 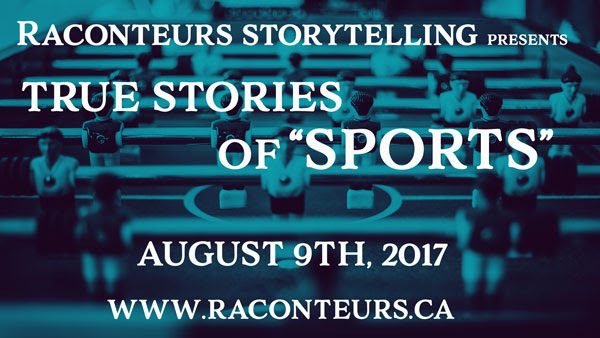 If you have a story to share, please send a brief 2 paragraph summary pitch tosubmissions@raconteurs.ca! Tickets are $8 in advance here and $10 at the door!